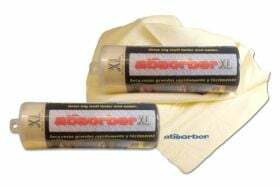 Clean Tools 10053 - Clean Tools Absorber Synthetic Chamois - FREE SHIPPING! This product exceeded my expectations I recommend it to my friends. The synthetic chamois performed better then a natural chamois! Not sure how it compares to other synthetic chamois type products, but it does work well. Holds a lot of water, squeezes damp quickly and easily and can dry a sedan in two passes. I like the handling instructions and ease of care-just throw it in the wash when it gets dirty (mine got dirty right away, must have bumped up against some greasy spots). 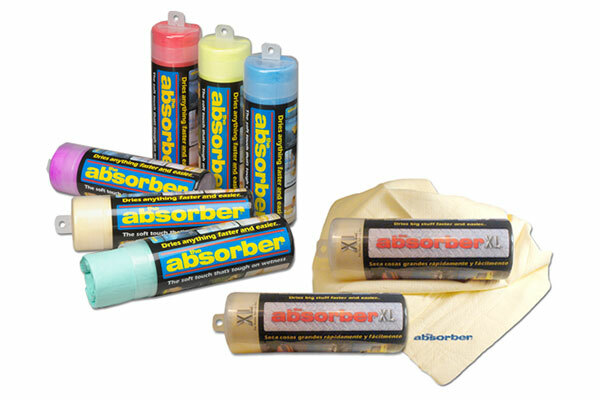 The absorber is great. Use it on my truck, leaves no water marks. Better than using a towel. Reference # 767-602-404 © 2000-2019 AutoAnything, Inc.